Lloyd Hall receiving award from Prince Charles. Lloyd Hall as a young man. Lloyd Hall was born in Kingston, Jamaica. He was the second son of his parents, his older brother being Carl. His parents were Methodists who worshipped at the Coke Methodist Church in downtown Kingston, and Lloyd was christened there. He taught Sunday School and played the pipe organ for services. He attended the Central Branch Primary School and then became a scholarship student at Calabar High School while concurrently studying music with Sybil Foster (later Foster-Davis) for seven years. At Calabar he played the organ for morning worship. His talent with music was obvious from an early age and Hall, who also studied violin with Miss Doris Livingstone, proceeded swiftly in gaining his LRSM diploma. He then immediately received a study grant from the Associated Boards of the Royal Schools of Music (ABRSM) to study in the U.K.
Hall undertook a wide-ranging course of study, learning piano under Arthur Benjamin, organ with Dr. T. Cook of Southark Cathedral, and harmony, counterpoint and composition with Dr. Sydney Watson. He graduated (GRSM) with a degree in music education in 1945 at the age of 22, while also qualifying for the LRAM and ARCM diplomas in pianoforte performance. Upon graduation Hall turned his attention to performance, giving piano recitals in London, Sweden, Finland, Belgium and Switzerland under the auspices of the International Friendship League. Years later in 1965 Hall would be part of a memorable piano duo recital at the Ward Theatre in Kingston, where he performed with the famous British composer Arthur Benjamin. Hall returned to Jamaica in the late 1940s and became organist for the St Andrew’s Scots Kirk (a position he held for nearly five decades, from 1949 to 1998). He was also organist at St. Jude’s Anglican Church in Stony Hill where he played for morning service at 7.30 AM, afterwards going directly to St. Andrew’s Scots Kirk, 43a Duke Street in downtown Kingston for service at 10:00 a.m. He later did a short stint as organist and choir master at the Saxthorpe Methodist Church, Constant Spring Road. At the same time, Lloyd Hall became a music teacher at both Shortwood and Mico Teachers’ Training Colleges. In 1955 he returned to England for a course of study in Primary-School Music Education at Darlington College. In 1957 he was awarded a fellowship in music and taken up in Canada, where he received a teacher’s certificate from Dalhouse University. During this period of heavy study, Hall was increasing his presence and influence on the Jamaican music scene. In 1957 he joined the Ministry of Education as a music education officer, in charge of all music education programmes for the ministry, and served in that position for 26 years. On his retirement from the ministry in 1983, he returned to Shortwood as head of the music department and served in that capacity for 20 years (until 2003). Lloyd Hall has furthermore accompanied for countless years vocal students during their classes at the School of Music, Edna Manley College of the Visual and the Performing Arts in Kingston. During the early period of his work with the ministry, Hall presented a radio programme aimed at primary school music education which was on air two to three times per week, and was greatly instrumental in an increase in involvement and improved quality of music performances and teaching standards at primary and secondary schools. From 1954 until 2010 (56 years) he was the conductor of the St Andrew Singers, a prominent choir of national stature. In 1966 he conducted the 1,000 strong children’s choir which performed at the National Stadium during the visit of HRM Queen Elizabeth II. He further conducted numerous choirs in Jamaica during his long and storied career. Among other choirs which he formed are the St. Jude Singers, and the Shortwood College Teachers Choir, and the St. Richard’s Boys of St. Richard’s Primary School (Red Hills Road, Kingston). Palm Sunday recitals at St. Andrew’s Scots Kirk consisted of 300-400 children, sometimes accompanied by the band of the First Battalion of the Jamaica Regiment. Hall will forever be remembered in Jamaica for the music that he composed for the iconic Jamaican song Jamaica Land of Beauty, which has since become an integral part of the heritage and culture of the nation. The music he wrote, originally based off the A.L. Hendrik’s poem of the same name, is performed yearly at almost every significant national event. He also wrote Missa Brevis, a short mass for the St Jude’s Anglican Church in 1982. The majority of Lloyd Halls other original compositions are unfortunately feared to have been lost; however, the search continues. Hall wrote many books in his career in music and music education. He wrote the handbook, Music Handbook for Teachers and compiled three collections Junior Songs for the Caribbean; Senior Songs for the Caribbean; and Jamaica, Land We Love (a collection of national and folk songs). In 1967 Lloyd Hall received the Badge of Honour in the Queen’s New Year List for his services to music. 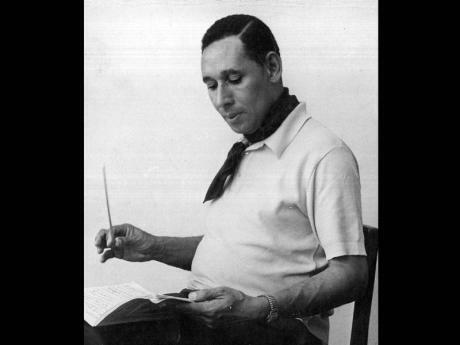 In 1972 he was appointed Director of the Council of Music Education for the Organization of American States (OAS). In 1983 he was made a Commander of the Order of Distinction (CD) by the government of Jamaica for his services to music. Hall also received two high ranking awards from the Institute of Jamaica, a Silver Musgrave Medal, as well as the Centenary Medal. 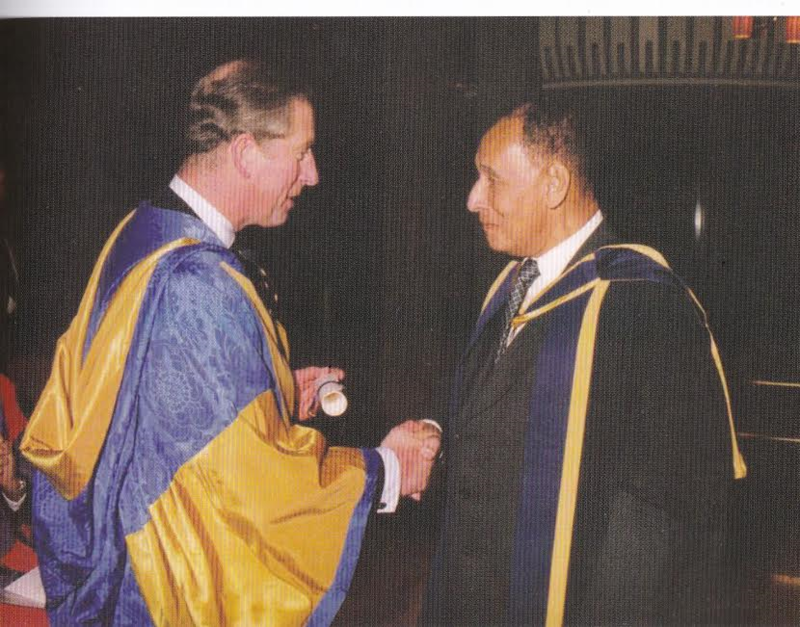 In 1999 he was appointed Fellow of the Royal College of Music (the first Caribbean person so appointed) and received that honour in 2007 from the hands of Prince Charles himself, who was President of the Board of the college.